Effective training can be summed up with 3 simple steps: 1) pick a goal, 2) find the best exercises to get you to your goal and 3) get better at these exercises. While this seems simple enough, many people struggle with part 3. You can use the best exercises in the world, but if you do not get better at them (i.e. increase the weight you use for them), then you will not reach your goal. The problem is that most people either stay with the same weight all the time (and then complain about not getting results) or try to increase the weight too quickly and as a result get injured, make false gains or hit a dreaded plateau as the body can not adapt fast enough to keep up with the rapid weight increases. The secret to success it to patiently and as Stuart McRobert would say, steadily coax the weight up. Follow this simple strategy and you will be on the path to hitting your training goals! One of the things that makes exercises such as squats and deadlifts so effective is that while they can be brutally hard, they are relatively easy to progress. 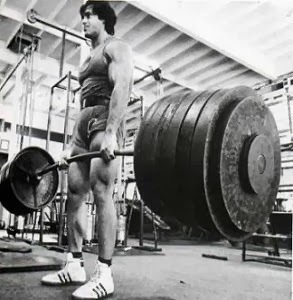 For example, beginners can start with a comfortable weight on the deadlift, add 5 pounds a training session for months. This adds up to some rapid progress. The deadlift has a huge progression ceiling and you will reach your goals long before you tap out your genetic potential with the deadlift. Smaller exercises such as side dumbbell raises do not have this high progression ceiling. While a 5 pound jump is challenging enough for a barbell exercise, a 5 pound increase PER HAND with dumbbells really means you are now trying to make a 10 pound jump. As a result, dumbbell training is generally not as effective for strength gains as barbells. However, dumbbells offer some great benefits such as increasing stability requirements, sparing the joints and allowing you to focus on one limb at a time. Therefore, one great option - especially for home gym trainees are adjustable dumbbells. I even use these with our athletes at times as it allows us to add a small plate to one side of the dumbbell and thus increase the weight by 1.25 per hand as opposed to 5 pounds like in most gyms. Another helpful addition for coaxing weights up is a magnetic weight such as Plate Mate 5/8 lb Microload Donut Pair or PlateMate Micro Loading 1.25 Pound Donut Weight Plate - 1 Pair. 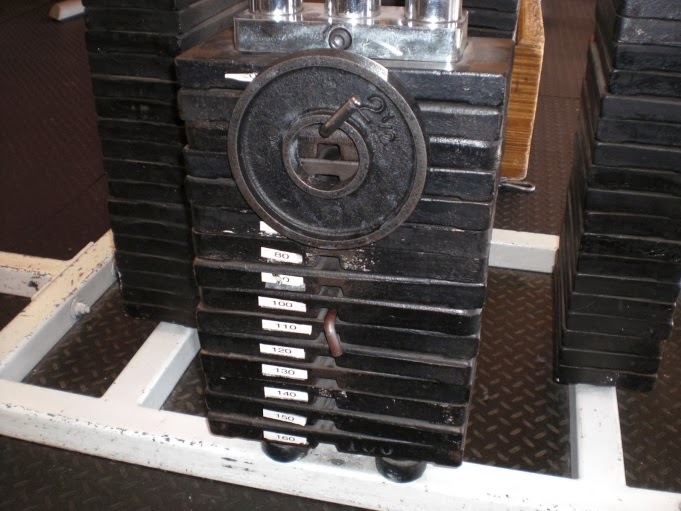 These plates stick to metal dumbbells, plates or cable stacks to allow those small weight increases. Cable stacks are also problematic for weight increases as they often go up by 10 pounds at a time. A simple way to progress at a slower, more sustainable pace is to grab another pin and use it to add a small 2.5 or 5 pound weight plate to the cable stack. Note: do not add the weight to the main pin that is holding the rest of the weight up. At times you may not have access to any of the above options. In this case, another helpful method can be to give yourself a rep range for progression. For example, instead of having 5 reps on your program, you could use a range of 4-6 reps. Use a weight that allows you to get at least 4 reps. Work on progressing your reps up until you can do 6 reps. Then, next training session, increase the weight and start at 4 reps again. Now, this simple method of coaxing the weight up will not last forever. If it did 800 pound raw bench presses would be the norm in most gyms. 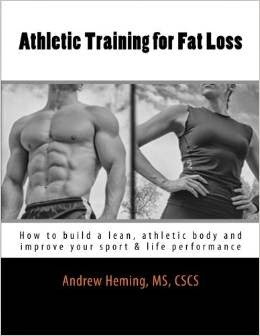 However, many people mistakenly jump around from one exercise to the next more move into more advanced programming strategies long before they are needed. Milk the simple progressions while you can and then move onto the more advanced stuff. Enjoy the satisfaction that each training session is taking you one step closer to your goal!